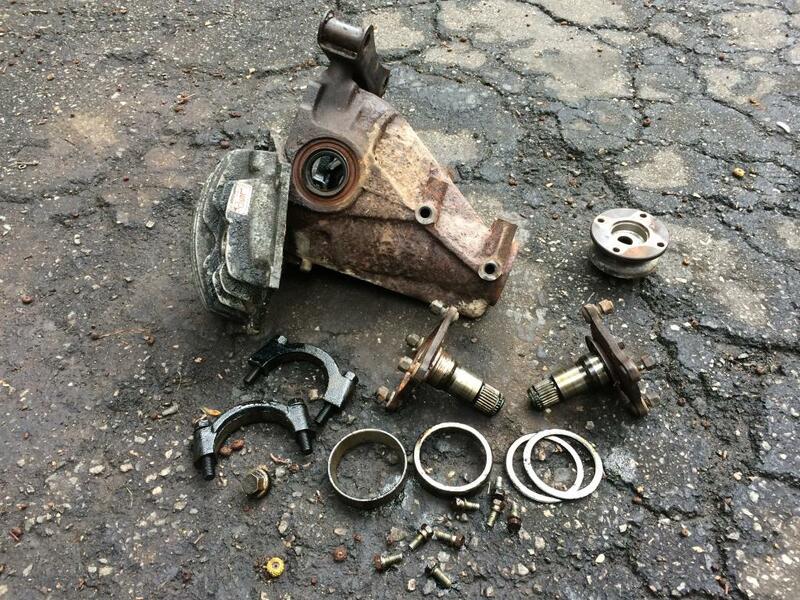 Housing, drive flange, LSD stub axles, diff cover (fill bolt threads stripped), diff retainers, bolts, shims, etc. If this stuff doesn't sell it's getting scrapped. NOT FOR SALE: differential, ring gear, pinion. So don't ask.